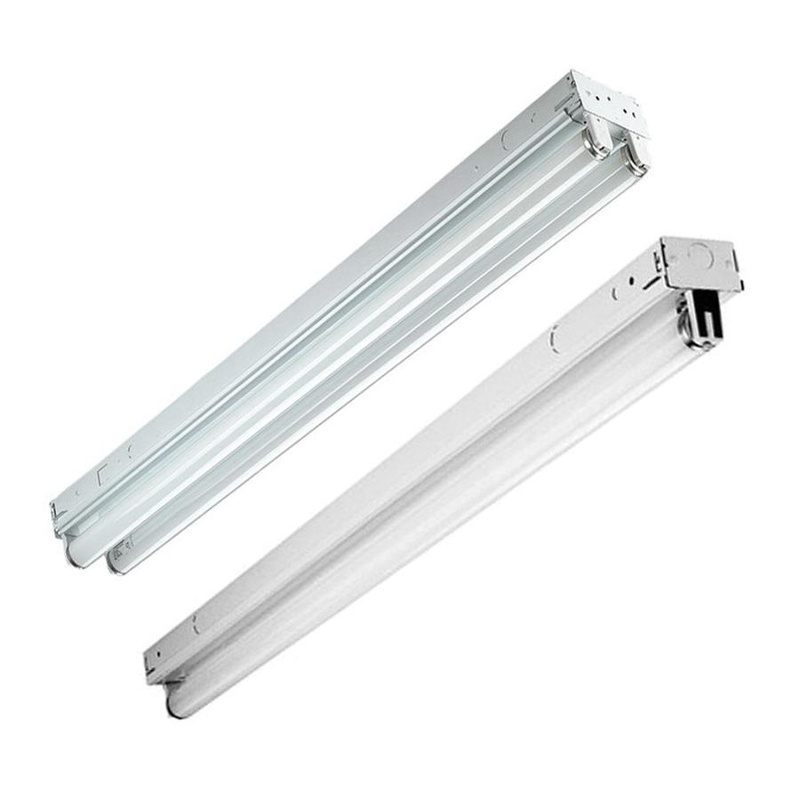 Globalux Lighting SCS series, standard channel strip fixture has one lamp capacity that supports 32-Watts power rated T8 fluorescent lamps. Fixture has cold-rolled steel housing construction with post painted white powder coat finish for maximum reflection and added durability. It features instant start ballast cover secured with quarter-turn fasteners. End plate of the fixture quickly converts to snap-in channel connector for continuous row mounting. Fixture provides general lighting solution for commercial, industrial, retail and residential application. It is suitable for surface or suspended mounting in storage/utility areas, coves, display cases, shops, task and general lighting areas. This standard channel strip lighting fixture is cULus listed.